If you want your Porsche to stand out, you don't have to go further than these guys. In the tuner world, there are hundreds of thousands of brands and tuning houses out for glory – trying to carve a niche in some way shape or form. The throngs thin out though as the stakes get higher – high end sports cars aren’t the focus of as much tuning, but those that do tune them go all out – sometimes to levels that border on vulgarity. Some however, do things tastefully. So we’ve picked 5 of our favorite tuners here, all of whom are responsible for some of the sweetest aftermarket Porsches you’ll ever set eyes on. ‘Rauh-Welt Begriff’ (Rough World Concept), or RWB as they’re more commonly known by enthusiasts are tuners of Porsches hailing from an unlikely country of origin – Japan. is the man behind the initials, with a passion for creatively carving up classic air cooled Porsche 911s and turning them into something half art, half wide-bodied road monster. The signature style of RWB Porsche 911s is massively flared arches and a widebody stance quite unlike any other. Each RWB Porsche is completely unique, and even if he wanted to, likely wouldn’t be able to reproduce a single one the same. What makes them truly special, in addition to their wild wide-arched styling, is that Nakai San handles every build personally, and uses nothing but his eye and a measuring tape to calculate what needs to be cut where. He painstakingly cuts authentic body-panels rather than fabricating new ones to his design. Some may say he’s a butcher of classic 911s, but we choose to think of him rather as an eccentric master of his craft – creating by hand some of the most unique Porsches around. RWB is a legendary name in the 911 game – and no list would be complete without it. If you’ve played Gran Turismo, you’ll have come across Ruf listed as an independent brand – and they are. 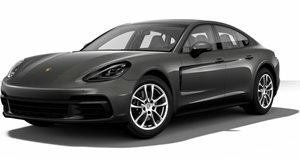 They’ve been tuning Porsches for so long and to such a high standard that they’ve been legally established as their own company with their own homologated models. But at their hearts, Ruf Porsches are body-in-white, unmarked Porsches taken straight from the Porsche’s factory. Ruf’s mad scientists then descend, turning the Porsches into some of the most . One of their most famous builds is the Ruf CTR “Yellowbird,” the brightly hued model based on the 930 generation Carrera 3.2. Ruf endowed it with a 3.4-liter twin-turbocharged flat 6 to deliver a conservatively claimed 469 hp and 408 lb-ft of torque, channeled to the rear wheels via a classic 5-speed manual transmission. Weighing in at just 2500 pounds, 0-60 mph took a sprightly 3.65 seconds, with a top speed in excess of 210 mph. Techart is arguably one of the least outrageous Porsche tuners around – and that’s why for some they’ll often fly under the radar. Supplying everything from wheels to steering wheels, with power kits in between, Techart is a German tuning firm that, for the most part, works on an OEM+ philosophy – modifying a range of Porsches with subtle styling upgrades and exceptional quality to ensure that, unless you know better, you’d think it rolled off the showroom floor looking like that. 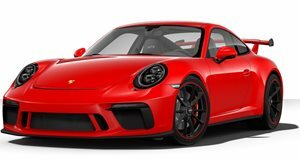 Lightweight aluminum and carbon fiber spoilers and splitters are just a couple of their tools used to – be they 911s or Caymans and Boxsters – with GT3 and GT4 visual credentials, whilst performance tuning packages give the performance buyers are after. But they don’t just offer complete kits – Techart caters to those looking for just a hint of personalization, selling individual trim pieces for you to equip at your leisure, even selling used parts from the catalog too. Techart also maintains and reconditions client cars, providing a completely tailored service to ensure your Techart Porsche always looks and feels as great as it did when Techart first hand the keys over to you. Everybody knows Singer by now – famous for its “Porsche re-imagined by Singer’ philosophy. Singer provides tasteful modification of classic Porsche 911s for the discerning buyer who wants attention to detail and a truly one of a kind sports car. Each model begins as an existing car, painstakingly sourced by Singer to ensure the right specification and condition vehicle is found. From there, Rob Dickinson and his team tastefully modify both the interior and exterior with custom colors, finishes, and trims, as well as upholstery to suit the particular style each vehicle is endowed with from the start – based on a theme chosen by the buyer and Rob himself. The attention to detail isn’t just aesthetic though, as Singer will overhaul engines to either a 3.8- or 4.0-liter displacement, with outputs ranging from 300 to . Engines are then given a unique soundtrack courtesy of a Singer exhaust, while the driving experience is made even sweeter by finely tuned and rebuilt original Getrag gearboxes – upgraded for improved feel and experience. Singer Porsches are never wildly different from what the originals may have been, but they’re tastefully re-imagined, and the attention to detail and quality of each build makes them incredibly sought after machines. Perhaps the most grotesque tuner on our list, but also the only one that – though it will handle a 911 or two if you ask. Hamann is a famed German tuning house that's been working with German brands since 1986. 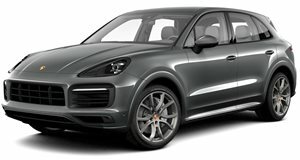 Though more famous for its work with BMW, and even Land Rover and Jaguar, it’s their Porsches that we like. and Cayennes, Hamann endows them with wide body styling, custom fairings, splitters, bumpers, and skirts. Aerodynamic tricks, carbon fiber accessories, forged and monoblock wheels, and extreme custom Hamann exhausts are all within its repertoire, with nothing escaping its grasp. Of course brakes, suspension, and engines get upgraded too, with usual increases in the region of 60 hp. Hamann-tuned Porsches may be an acquired taste, but no one can accuse them of being boring or unforgettable. 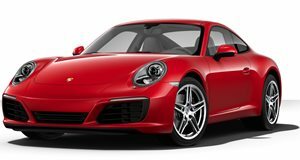 Of course there are many others – Who can forget the Urban Outlaw, Mr. Magnus Walker himself, or the crew from SharkWerks, but the five above each create custom Porsches to be greatly admired by both enthusiasts and the general public.